From wine to tech accessories, suggestions for the best gift for Mother’s Day. the agony of dealing with acne. I'm sick of this ish! We spoke with Makeup Artist Joy Fennell about her career, navigating your dream with social media jealousy, and what colors can Black Woman wear? Acne has been a major struggle for me since I was in the 5th grade. I have tried every medication, tested out different routines, etc and it can be very frustrating seeking clear skin. This summer and Pierre into My Life is a journey for not only myself but my readers to find ways to improve their lives with self-love and self-care. 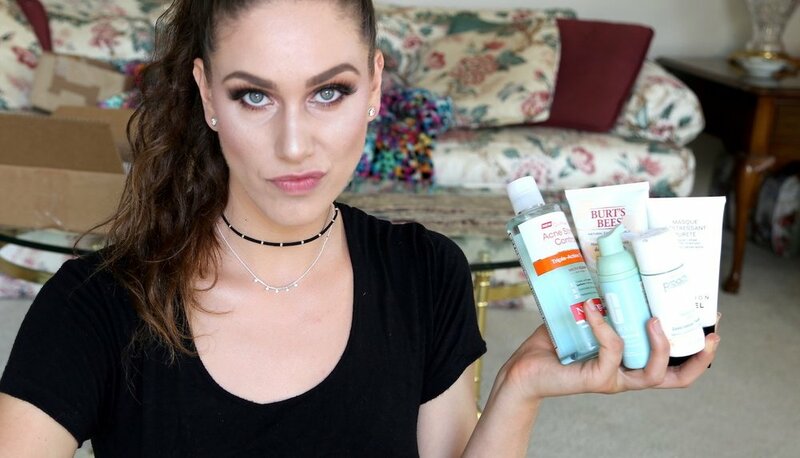 I was fortunate enough to speak with YouTube beauty guru Cassandra Bankson, who has been open with her issues with acne on her YouTube page. Cassandra is speaking with Pierre into My Life on the best ways to find beauty in yourself while you strive for clear skin. “Often we talk to ourselves negatively and our internal dialogue is ‘oh my god I have so many pimples,’ or ‘oh my god I am so ugly.’ When you have those thoughts everyday it doesn’t set you up for success or even allow you to concentrate on the world around you. One of the most productive things that I have done was to find things about myself that I love and things about myself that I cherish. I accept and respect my body and skin. Self love can lead into a decrease in stress which actually can show a physical reduction in breakouts. So maybe it can be your eyes you could compliment, your height or something about your body or the way you dress. Or the fact you’re an eloquent speaker. Make sure to check out beauty and health tips at Cassandra's YouTube page and follow her on Instagram and Twitter. Dating is truly a beautiful nightmare. October was a light month of activities but still a great month. Checked out Chicago’s new pop-up museum, wndr museum.